Think back: it's early July 1873 and the Franciscan Sisters down at St. Boniface are all excited. 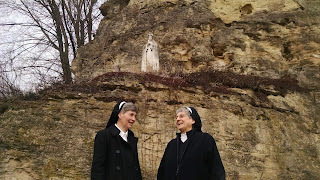 Next week on July 23 the cornerstone of their Motherhouse is being laid. They would like to see how things are progressing. 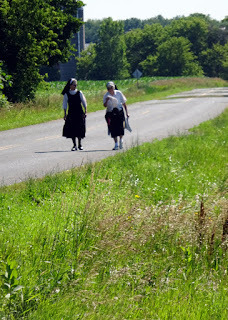 Join them in spirit as we walk from their home at St. Boniface in Manitowoc, up past the house that would become St. Mary Hospital in 1881, over to see where "Little Nazareth" is now located, through the fields and the roads to Silver Lake Park where Mother Odelia first dreamed of a new convent and then on to the place where the men are digging and building the foundation for the cornerstone. It's about 7-8 miles. Young women are invited to arrive the night of July 4 or come for early morning Mass at 7:05 a.m. and join us for breakfast. Call or text Sister Julie Ann at 920-323-9632 if you are able to walk with us. 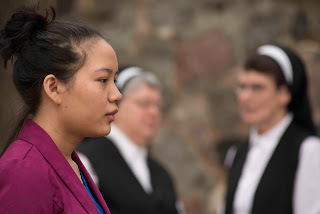 On July 5-8 Franciscan Sisters of Christian Charity invite Catholic young adult women to join some of our Sisters in a silent retreat entitled: I believe in the Communion of Saints led by Rev. Victor Hoagland, C.P. at Holy Family Convent, 2409 South Alverno Road, Manitowoc, Wisconsin. We commune with the saints and they with us. They're our companions in life and the family we hope to join in God's kingdom. In our retreat we will reflect on their lives and teachings-and rejoice in their company. Ask about adjusting the timing to fit you and your summer plans. Call or text Sister Julie Ann at 920-323-9632 re: your questions. Register here. 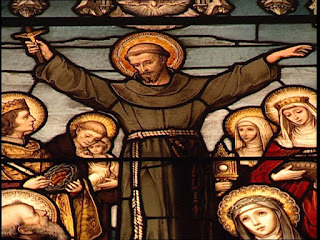 On July 9-10 2-3 p.m. Franciscan Sister of Christian Charity Sister Louise Hembrecht is teaching an Introduction to Bonventure in St. Francis Chapel at Holy Family Convent, 2409 South Alverno Road, Manitowoc, Wisconsin. Session 1: Introducing Bonaventure: Theologian, Philosopher, Saint. a thirteenth century Franciscan can be user-friendly in the twenty-first century. 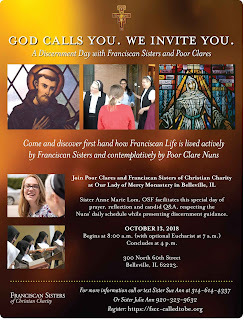 Call or text Sister Julie Ann at 920-323-9632 if you are interested in learning more about this Franciscan scholar. 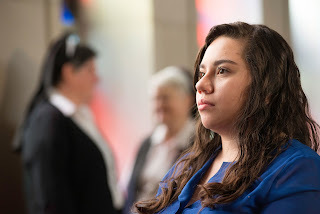 On July 15-18 Franciscan Sisters of Christian Charity invite young adult Catholic women to join some of our Sisters for a few days of their yearly retreat entitled: The Actions of God in our Retreat. Rev. Mark A. Lewis, SJ leads this time of silence and renewal at our Motherhouse. Retreat time is often a time of rest and reflection where we find stillness to be with God. But if we notice, God remains active in our lives even during this quiet time, calling and guiding, inviting and sending. In the context of Ignatius' Spiritual Exercises suggestions in the ways God acts, speaks and calls forth a response in our prayers and in our lives will be given. Call or text Sister Julie Ann at 920-323-9632 re: interest or questions. Register here.